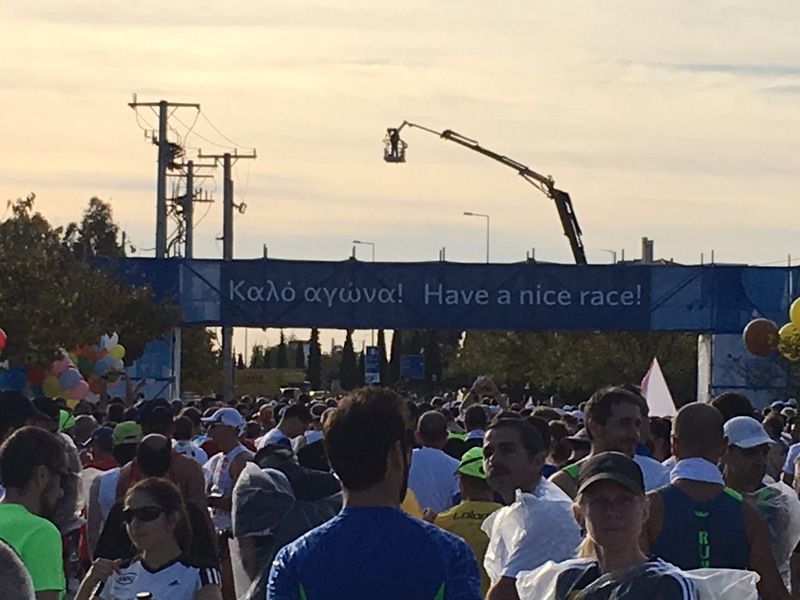 Athens Marathon Race Report – The Good and the Bad – Leaving it better than I found it. This is the first time in my marathoning / distance running life that I didn’t train for a race I was signed up for. 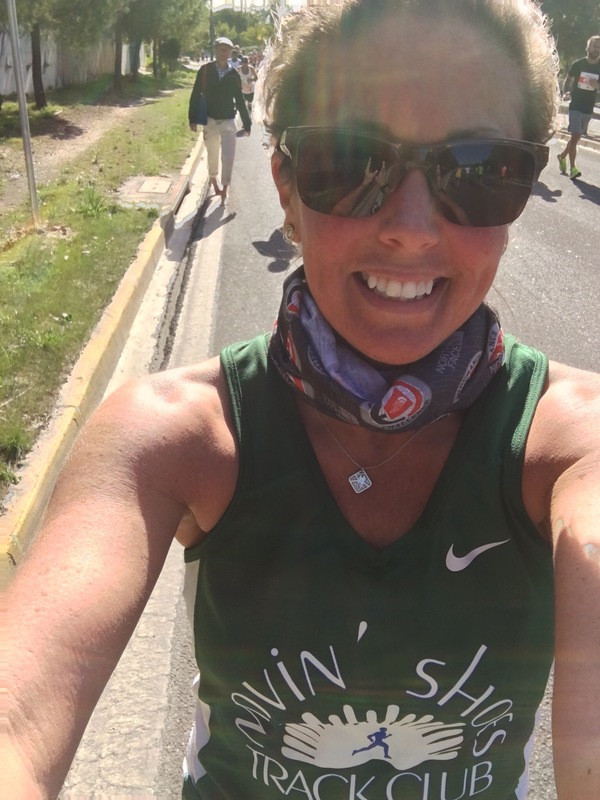 I make no excuses – I consciously chose other things over fitting in long runs. I found taking extended recovery from my 50 miler, lounging with my boyfriend, and even organizing my closet above training for the marathon. And after today, I have no regrets. On the early bus ride out to Marathon I reeled in my thoughts. I was ready to be uncomfortable, I was ready to accept anything that came my way, and I was ready to soak up the entire experience. First 5 miles – Great company! I met a guy from Minnesota very early on that was full of interesting stories and perspective on different things. I happily kept pace with him the first 5 miles even though he was chasing a 3:30 finishing time, which was clearly not my goal. 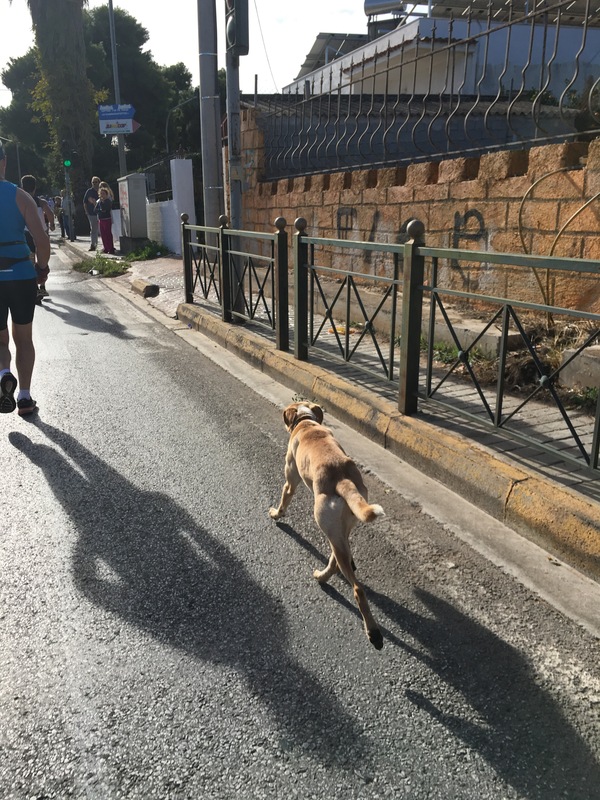 Random dog running partner – Around 6 miles in a random stray dog decided to hop in the marathon and run with us for a good 3 kilometers or more. It was fun watching him run next to different people while looking up at them with a dog smile, and to also see the spectators cheer for him! Drum corps – I can remember at least 4 different sections of the course where people were playing drums. One really got to me – it was under an overpass in Athens, and it was just booming with music and energy. The closer I got to the men playing the drums and the people surrounding them I welled up with tears and was so impacted in that moment. These men were playing ferociously and the intensity of the sound inside the overpass made it a full body experience. 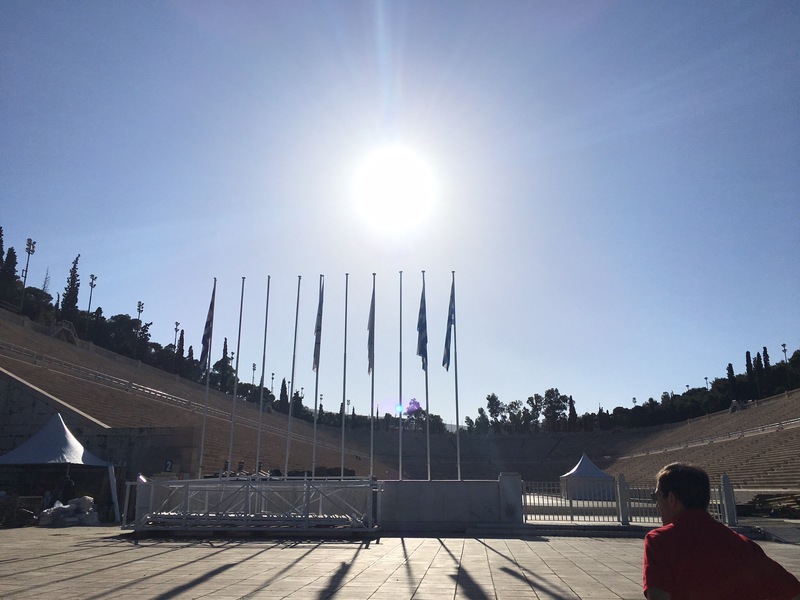 Finishing in the Panathenaic Stadium – It was surreal running half way around this stadium, seeing the marble seating all around you, and wondering what kinds of things took place here thousands of years ago – it was really beautiful! As all of us distance runners know, these kinds of races aren’t all highlights. The fluffy, seemingly perfect race reports are just a highlight reel, and I find that a little boring. The challenges are where things get real. 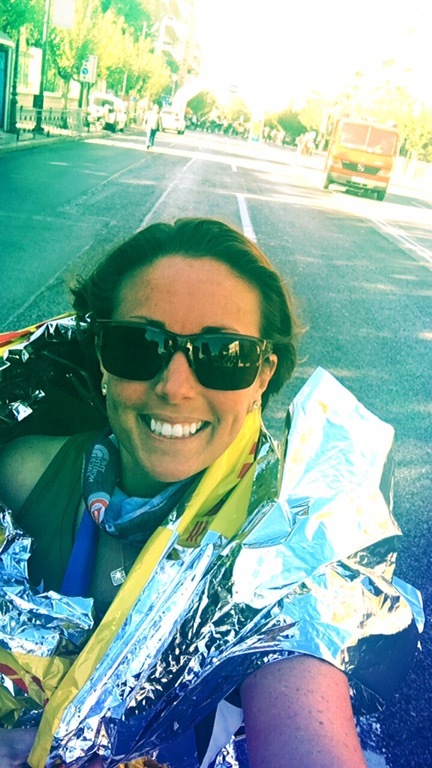 Challenge 1 – Miles 9 – 17. There was a lot of uphill in this section, and my legs lost all their gusto here. I resorted to walking parts of each of the up hills and use it as an opportunity to take more pictures. Notice the dude walking behind me doesn’t have any shoes on?! Challenge 2 – Lower back issues. The week before I came on this trip I had a pretty nasty flare up of my SI joint and my sacrum. I was able to fit in 6 chiropractic adjustments before flying out here, but I was very aware that it could tighten up/spasm during the marathon. Those grinding miles in the middle proved to irritate my lower back a bit so I was pretty conservative until it loosened up for good. 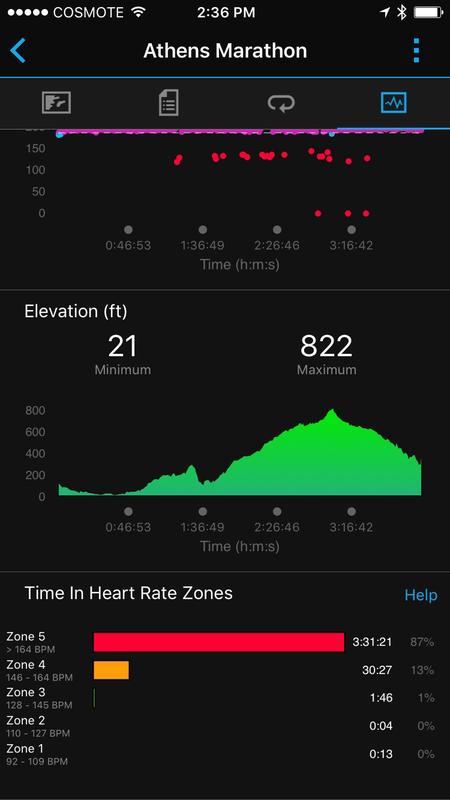 Challenge 3 – Runaway heart rate. During those afore-mentioned grinding miles, I thought to check my heart rate since it felt like I was working harder than I needed to. What did it say? 194. Yep. For about two miles I worked to lower it, but as soon as I started running again it was back to to the upper 180’s/190’s. I decided just to listen to my body and do what it was asking for rather than focusing on heart rate, and I’m glad I approached it that way. Overall, I know I would have benefited from training for this, but you know what? 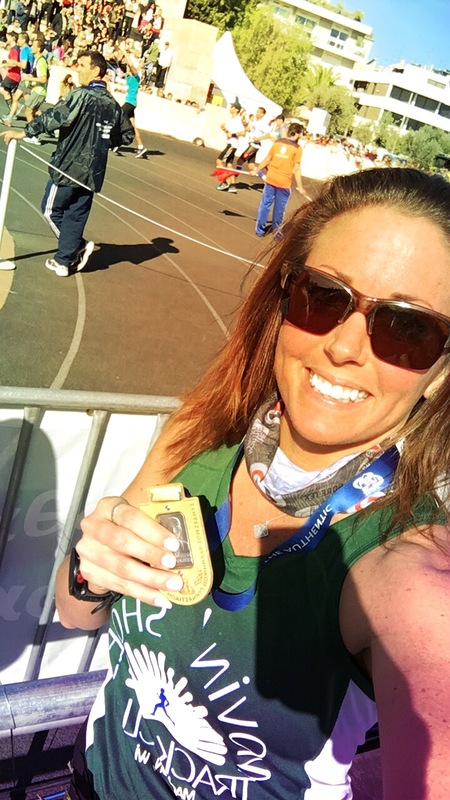 I was happy to have to the break, I am happy with my choices, and I still pulled off a decent marathon time. Mission accomplished! On to the second leg of my Greek adventure tomorrow! I love that you had a dog running partner too! Definitely makes it memorable!